“Conscience doth makes cowards of us all”, said William Shakespeare in Hamlet, the most adapted and enacted play in the history of drama. Capturing the conscience of a nation in an engaging plot and bringing it to life with compelling performances on screen is an effort not many film makers are capable of making. I presume it is due the fear of being perceived as a coward, especially in sensitive issues like Kashmir. Hamlet, the prince of Denmark tells his friend Rosencrantz in the play- “There is nothing good or bad in this world but thinking makes it so.” Only a few directors are capable of achieving this objectivity through their cinema. Right here, before we set the context for this piece, recall the movies made on Kashmir since Bollywood started making them. Right from Shammi Kapoor’s twerking in “Chahe koi mujhe junglee kahe” to “bumbro bumbro” in Mission Kashmir, Kashmir has either been portrayed as a honeymooner’s paradise or a terrorist breeding ground. The rest of India’s understanding of Kashmir is confined to just that. When a film maker like Vishal Bharadwaj adapts a classic of Shakespeare to what Jehangir, the Mughal emperor described as “Heaven on Earth”, it arises a sense of curiosity. The trailers had the right amount of intrigue and showed a glimpse of powerful acting performances. It was a movie which needed to be watched. It was only after I came out of the theatre hall, I decided to write about it. But before we go into the nuances of the movie, I believe it is important to delve a little deeper into present day Kashmir. Why has Kashmir been alien to the rest of India? 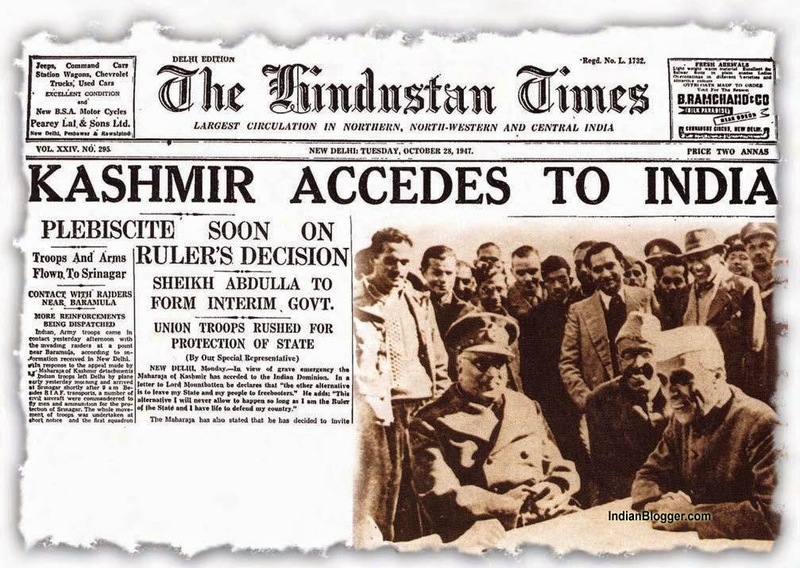 The Indian Independence act, 1947 states- “the suzerainty of His Majesty over the Indian States lapses, and with it, all treaties and agreements in force at the date of the passing of this Act between His Majesty and the rulers of Indian States”, giving a free hand for the rulers of the Indian princely states to choose sides between the newly created nations of India and Pakistan. The ruler of the state of Jammu and Kashmir was Maharaja Hari Singh, not very well known for his shrewdness. He ruled over a state with a majority Muslim population by discriminating against them in the state administration. Not a very wise thing to do. But he was a Maharaja, one could not question His Majesty! The Maharaja could not wake up to smell the coffee. Half of his territory was annexed by the invading tribesmen from Pakistan in the winter of 1947 which forced him to sign the “Instrument of Accession” with India thus sowing the seed of conflict. Indian and Pakistani leaders right from Nehru and Jinnah to Modi and Sharif have watered the seed to help make it grow into a gigantic tree over the years. Jawaharlal Nehru, like the virtuous man he always was promised a plebiscite which never took place, because the promise itself was based on a faulty premise. 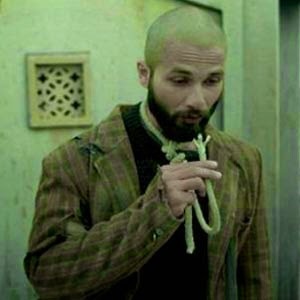 Haider: What makes the movie special? “Catch them by their balls, their hearts and minds will follow” declares a sign board in the office of Superintendent of Police, Srinagar, in the movie. It gives us the undercurrent in Kashmir and captures the temper of the armed forces. The conversations of characters in the movie with wall paintings of “Go India Go back” in the background, the subtle references to the valley turning into a gigantic grave yard, makes the viewer think, something that the present day cinema considers as forbidden territory. My first real understanding of Kashmir, away from hyper ventilating Bollywood and news media came from Rahul Pandita’s brilliant book- “Our Moon Has Blood Clots”. He writes about the heart wrenching tales of Kashmiri Pandits and how they were forcefully evacuated from their homes in 1990 and the relief camps in Delhi and elsewhere which became their foster homes. Neglected by the administration, with nowhere to go, the plight of each of the Pandit families makes a part of your soul die. Has it made the Promised Land, any better for the Muslims in the valley? No. Succinctly captured by Vishal Bharadwaj is this plight of Muslim families, by the usage of ‘Chutzpah’, a word which has its origins in Hebrew. In one of the most captivating performances of the movie, Shahid Kapoor after learning about his missing father’s death climbs up the open air stage on a busy street corner and gathers the attention of the crowd. In a hysterical fit, he starts with “hello.. mike testing 1..2..3.. hello” speaking into the rope around his neck. “Kya horaha hain hamare saath?” He asks. Without waiting for the crowd’s answer he declares- Chutzpah! So, what is Chutzpah? A thief goes to rob a bank. He points the gun to the manager’s head and asks for all the money in the bank to be given to him. The manager agrees and hands over all the money in the bank to the thief. In the very next moment, the thief walks up to the accounts opening counter and opens an account with all the newly earned money. This he cries, is CHUTZPAH. Rhymes and jells well with AFSPA (Armed Forces Special Powers Act) which gives a free hand to the army to commit brutalities on any suspect, civilian or otherwise. Kashmir is a film maker’s delight. Whatever be the camera angle, the director is bound to get a beautiful shot. The picturesque Kashmir is a constant throughout the movie which manages to keep the viewer excited even when the plot seems to drag a bit in the second half. Kay Kay Menon, Tabu, Shraddha Kapoor and a special appearance by Irrfan Khan, cast a spell. The plot is a direct adaptation of “Hamlet Prince of Denmark” where Hamlet’s father is killed by his Uncle (his father’s brother). The Uncle now marries Hamlet’s widowed mother. Will Hamlet take revenge for his father’s murder? Shakespeare captures the moral struggles that Hamlet goes through and the loneliness that captivates him. “Haider, meri inteqaam lena meri bhai se. Uski un dono aakho mein goliyaan taakna, jin aakho se usne tumhari maa par fareb dale the1”, is the message from his father. How will Haider go about in pursuit of his father’s wish? Basharat Peer, an eminent Kashimiri journalist has co-written the script along with Vishal Bharadwaj. He does an excellent job in drawing fine parallels of Hamlet with present day’s Kashmir. Vishal Bharadwaj has made yet another beautiful piece of art, his music, is well music to the ears. Faiz Ahmed Faiz's poetry beautifully sung by Arijit Singh is an absolute delight. 1. Haider, take revenge for my death. Shoot my brother in his eyes, the very eyes which cast a deception of lust on your mother's body. 2. You will not be free unless you are free from hatred and revenge.